The Stalemate is a very important and extremely unpleasant defensive weapon. This is a tactical motif (mostly in the endgame) where one side is in material deficit, but with the stalemate, gets a half of the point. In this motif, the losing side sacrifices everything in order to be out of moves and claim a draw. Let me show you a few potential scenarios. Before you read the solutions, please try to find it on your own. White is a pawn up and Black needs to find a way to save the game. The only move that saves Black here is 1…Ke8! This move will lead to a stalemate. With this move Black gets the opposition, and forces White to a draw. Note: The opposition is a term that describes the position where one king is opposite to the other, but the king which is to move, then is in the worst position. If, for instance, here Black makes a mistake and plays …Kd8, then the white king, will get the opposition and will win the game after 2.Kd6 Ke8 3.e7 Kf7 4.Kd7; and White wins the game. Now, after 2.Kd6 Kd8 3.e7 Ke8 4.Ke6, Black’s king is out of squares and the game is a draw. Black is a pawn up, he has the king and two rooks in a better position, whereas White’s king is without squares. It looks like only a miracle can help White save the game. But the miracle happens sometimes and here the miracle is a stalemate, that allows White to save the game tremendously and make a draw. 1) The first thing here is to spot that White’s king is almost without squares (only can get to d1) and that Black’s rooks are connected, but they cant help Black’s king because if Black’s rook on f6 tries to help Black’s king, then the white king can take the black rook on f2. 2) The second thing is that Black’s king can’t easily find the square where the active white queen can’t check him. Now White just needs to find a way to continously give check to Black’s king or if Black’s king goes to the most natural square on e3, it will find the final blow that saves the game. 1.Qd8+ here saves the game because, if Black’s king goes anywhere else than on e3, then White’s queen will check it forever; and, if he goes to 1…Ke3 2.Qd2+! !, it is a draw because of the stalemate. 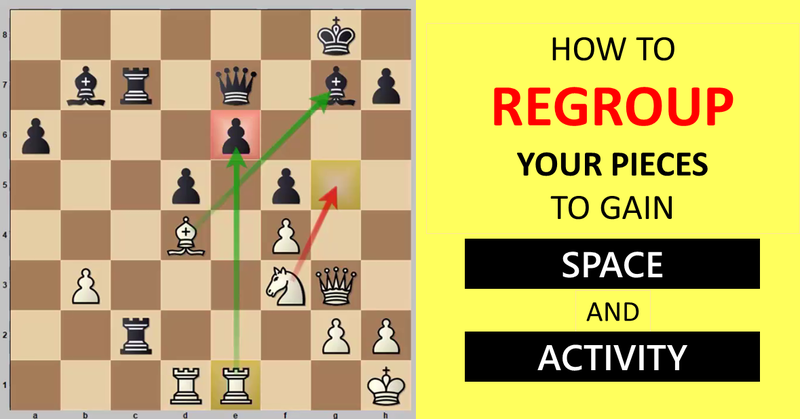 If you would like to know how to win endgames, here are 6 tips for winning chess endgames! The move is 1…Rc6!! Now White can’t take the pawn on g6 because, if 2.Rxg6 Kg4 3.Rxc6, the game is a draw because of the stalemate. Incredible idea and the final picture. White manages to get two pawns and the rook, but Black saves the game with the incredible stalemate. It is also important to see that after 1…Rc6 2.Rxg6 Kf5 3.Rg8, then 3…Rc3 will force White to play 4.Kf2 and Black will take both pawns with 4…Kxf4 and then the g-pawn will not get anywhere. Also, if White tries to leave this pawn on g6 with the move 1…Rc6 2.Kg4, then with 2…Kd5, Black will save the pawn and the game because White can’t break through the black defense. For example 3.f5 (3.Kf3 Ra6 4.Re7 Ra3 5.Kg4 Ra1 and the white king can’t make progress and the game is a draw) 3…Rc4 4.Kh3 gf5 and once again, the position is equal. 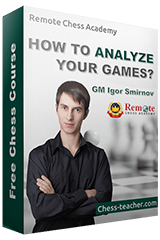 As the conclusion, we can say that the stalemate is a very nice defensive resource that you can use in bad positions. Especially, think about it in an endgame with a few pieces. If you see that you are in a bad position, try to find the miracle and set the stalemate.